Speakers face some of their biggest challenges when it comes to presenting data. There is something about pie charts and diagrams that PowerPoint users are drawn to like moths to a flame. However, your audience doesn't usually need the level of detail that you provide, and they are typically overwhelmed. How can you present data in a way that gets your point across, making it concrete, while giving the audience just as much information as they need and want to know? Use an example or a comparison to something that your audience is already familiar with. There is always a story behind data; you just have to find it. Here's an example I found in our local weekly paper. 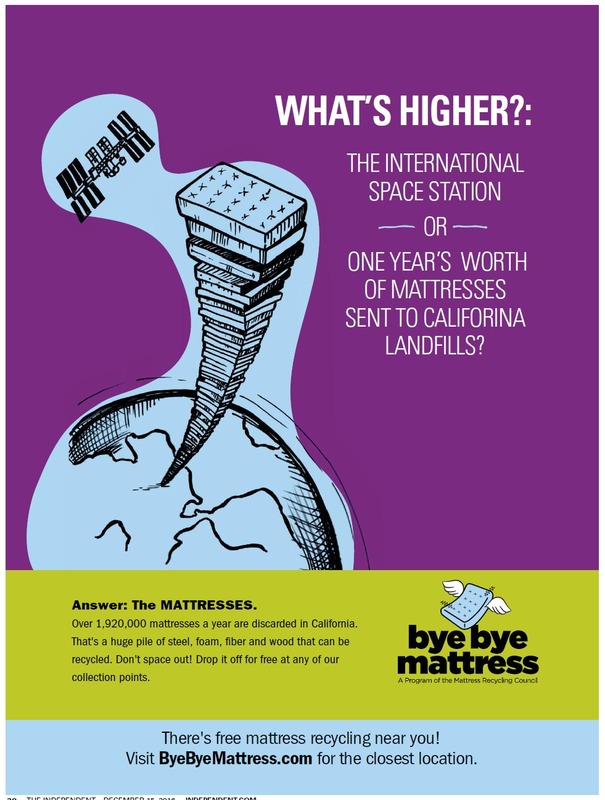 The number of mattresses that are sent to landfills every year is almost 2 million. But numbers that big sometimes become meaningless to our audiences. They're so vague. So this ad takes on the vagueness of a big number, and compares the hypothetical stack of mattresses to the orbit height of the International Space Station. Now, I can't really fathom that distance either (249 miles from the earth) and you could argue that it's also vague; however, I do know that the ISS is in SPACE! And I know that space is really, really, really far away. That's enough for me to comprehend that a stack of mattresses higher than the ISS is a really, really, really high stack of mattresses. And that is so much clearer to me than a number. What examples have you seen of turning numbers and data into engaging stories and examples for audiences?